Real Madrid’s new striker Mariano Diaz has revealed that it is an honor for him to wear the highly coveted number 7 jersey at the Santiago Bernabeu. The number 7 jersey was previously worn by Cristiano Ronaldo, and before him, another legendary figure, Raul. 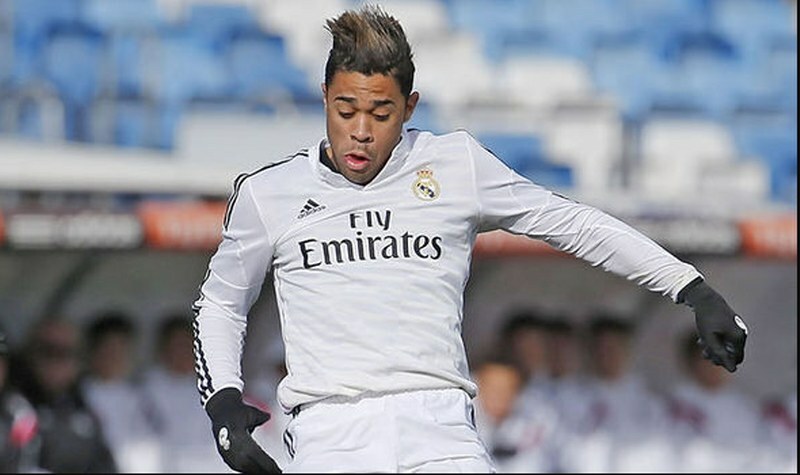 Mariano Diaz’ status as a new player in the Madrid setup could be relative as he was previously with Los Blancos before he moved to Olympique Lyon in France. The player will now be looking forward to a worthwhile second debut for Real Madrid in the coming days or weeks. Mariano Diaz is obviously itching for his debut but will have Karim Benzema to contend with for a starting spot. However, Lopetegui could easily tweak his formation to accommodate the Dominican-born striker regularly. Hopefully, he makes a significant mark on his return to the club just as Dani Carvajal has done since his return to Real Madrid from Bayern Leverkusen in the Bundesliga. Ina chat with Cadena Cope, Mariano Diaz spoke on how he has been working very hard in training to ensure that he proves worthy of the number 7 shirt. One of his exciting abilities as an forward is that he can hit pile drivers from distance. “It was free when I arrived and it is a number I like, now it is a challenge to match what has been achieved with it by stars like Amancio, Juanito, Butragueño, Raúl and Cristiano, of course. “I work every day to make my debut as soon as possible and now I feel fit and that I am in good condition, I am ready. “My move was all very fast as you know. The name of Real Madrid makes me very excited because this is what I wanted.